5050 Lawai Rd, Koloa, HI 96756 (MLS #621140) :: Aloha Kona Realty, Inc.
2 Bedroom, 1.5 Bath 953 Sq.ft. 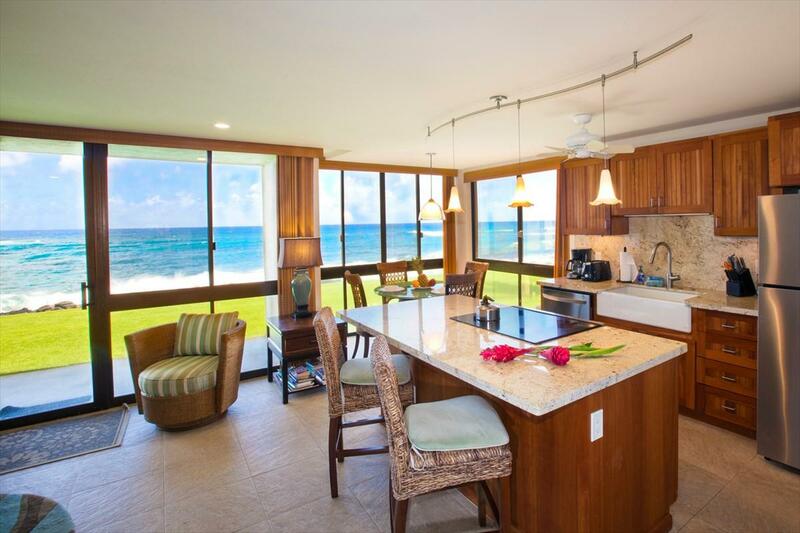 Poipu Oceanfront CondoThe location and dramatic views of this ground-level oceanfront condominium set it apart. Large floor-to-ceiling windows bring the sights and sounds of the outdoors into the open and airy Great Room, which incorporates the living, kitchen & dining areas. Take in the endless parade of natures energy and beauty surfers riding the breaking waves, sea turtles in the near shore waters, humpback whales frolicking during the winter months, and spectacular sunsets out over the ocean. 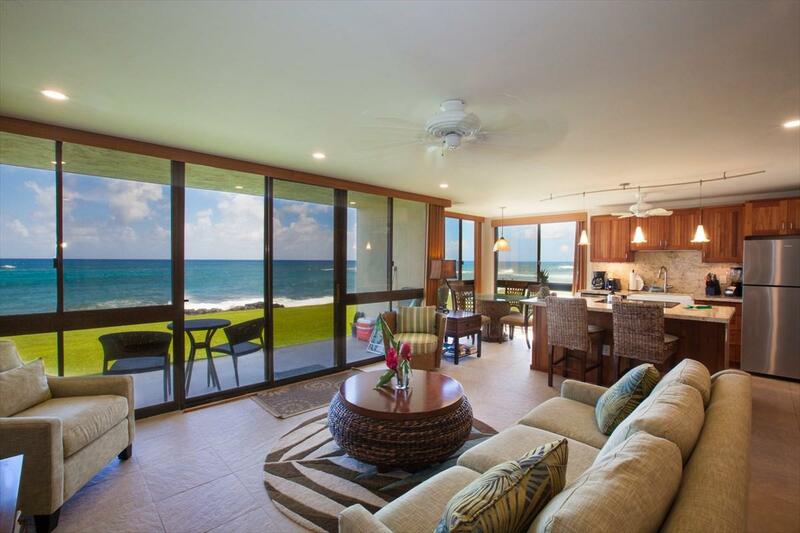 The back, sliding door opens directly onto a covered lanai and lush green lawn, which is great for children and adults alike, with immediate access to the outdoors, the shoreline and the tide pools. Recently updated, Kuhio Shores #114 has the following notable features: Updated Kitchen & Baths Solid Granite Counter tops New Solid Wood Cabinetry Tasteful Furnishings & dcor Porcelain Tile Flooring Throughout - Faux Travertine Split-system Air Conditioning Units in BedroomsThis property is located along Poipus exclusive Lawai Rd., popular with walkers and joggers, and adjacent to the notable Beach House restaurant and some of the best snorkeling on the south shore. Currently a successful and legal vacation rental, existing bookings and associated income will convey to a new owner. 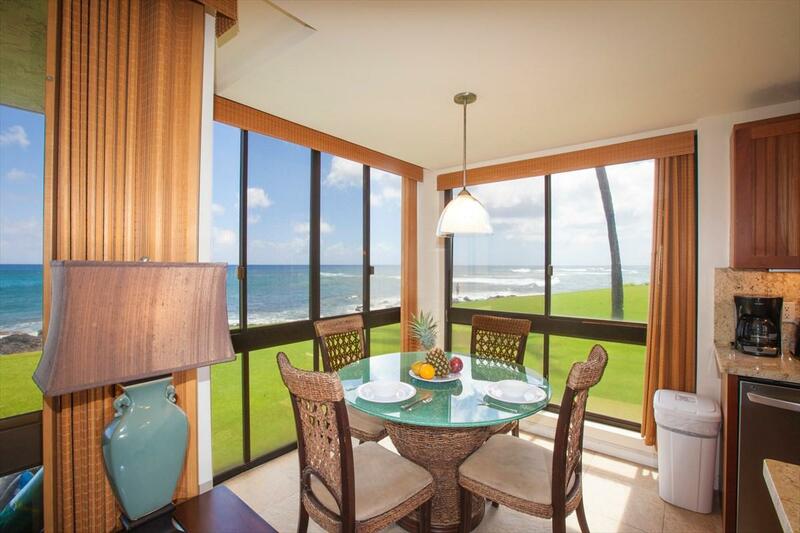 Situated in Sunny Poipu within close proximity to beaches, restaurants, shopping, golf, and all of the outdoor adventures that Kauai has to offer.